This is an interesting video of how Iceland engaged in substance abuse prevention with its teenagers. The same type of programs have been developed and implemented in the United States. The Genesee Council on Alcoholism and Substance Abuse (GCASA) developed and implemented a Drug Free Communities Coalition in the 2000s. It won the national CADCA award in 2006 for having the best Drug Free Communities Coalition in the United States. The Drug Free Communities coalition was led at GCASA by Maryann Bowman, Shannon Ford, and Tom Talbot. 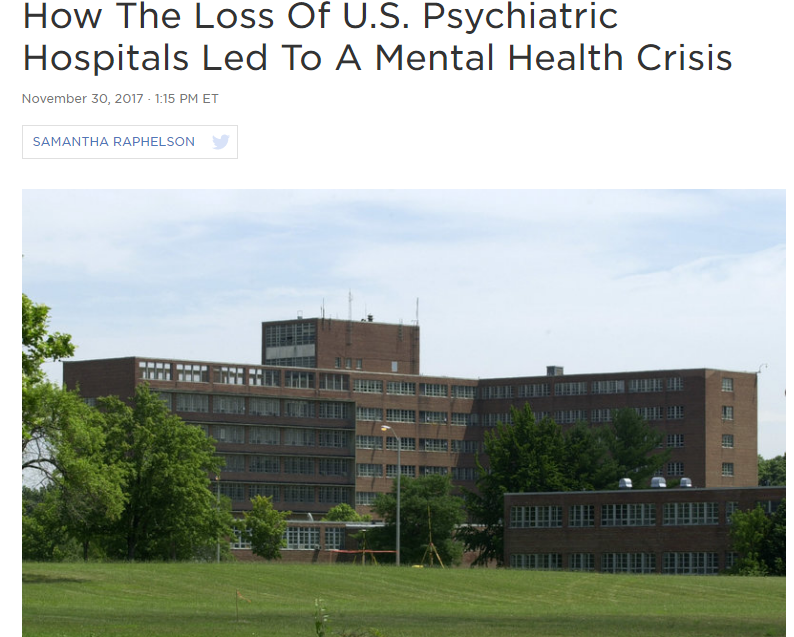 Lack of psychiatric beds not the problem. Lack of funds for outpatient services is. 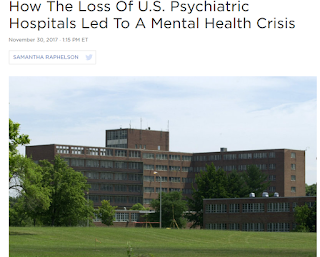 NPR has an interesting story about how the loss of psychiatric beds due to the era of deinstituionalization has led to a "mental health crisis" in the U.S. with people with psychiatric problems winding up in emergency rooms and prisons and jails. 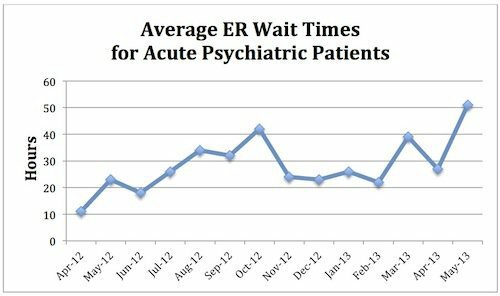 The problem is not the lack of psychiatric hospital beds but the lack of outpatient services which has occurred because of a lack of funding. 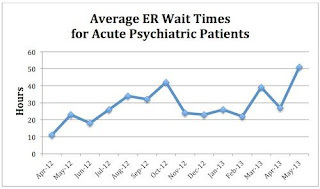 Health insurance payment systems for psychiatric disorders have led to difficulty accessing services with fewer providers available and people with problems winding up by default in other social systems whether it is criminal justice, social welfare, and health care services not equipped to manage people with mental illness. For more on the NPR story click here. 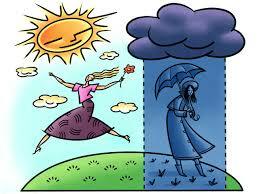 How can you manage seasonal affective disorder (SAD)? 12/21 is the Winter solstice. In the Northern Hemisphere it is the shortest day of the year. Some people are affected more than others with the fewer hours of day light and they experience a mild depression. How can you best manage it? Editor's note: When my clients complain to me about what sounds like seasonal affective disorder we explore what outdoor activities they might enjoy in the winter time like skiing, ice skating, snow shoeing, hiking, snow mobiling etc. Exposure to day light even when the days are short is the best remedy. Sitting in a window during the daylight especially a window with a southern exposure is soothing and helps alot. THURSDAY, Nov. 30, 2017 (HealthDay News) -- More stringent gun laws might spur a decline in domestic violence murders, new research suggests. 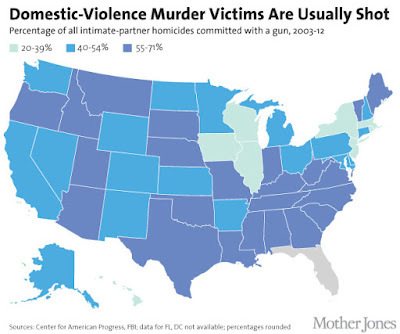 Thirteen states and federal law prohibit people convicted of domestic violence from buying guns. But the study found that states that extended this ban to people convicted of any violent crime had 23 percent fewer domestic violence murders. The researchers also found that larger reductions in these deaths were seen when gun restriction laws included dating partners in addition to spouses or ex-spouses, and a requirement that abusers turn in their guns. "The evidence from this study and previous research highly suggests that firearm restrictions work to reduce intimate partner homicides, and that laws need to be comprehensive when we think about populations most at risk for committing intimate partner violence," said study author April Zeoli. She is an associate professor of criminal justice at Michigan State University. In the study, the researchers analyzed 34 years of data (1980 to 2013) from 45 states. The 29 states with laws restricting guns in domestic violence cases when a restraining order had been issued had 9 percent fewer intimate partner murders, a finding similar to those in previous studies. 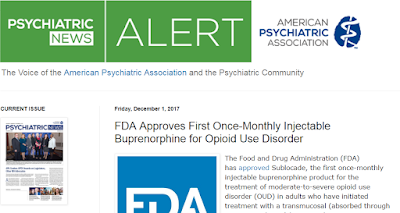 Follow Markham's Behavioral Health by subscribing by email in upper right hand corner. Keep up with MH information relevant to the practice of a working mental health professional. 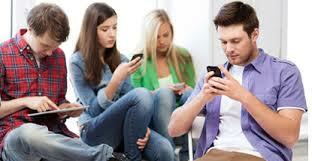 THURSDAY, Nov. 30, 2017 (HealthDay News) -- Teens fixated on their smartphones experience changes to their brain chemistry that mirror those prompted by addiction, a new study suggests. "English is hard. It can be understood through, tough, thorough, thought, though."